Mike Pence Avoids Kim Jong-un’s Sister at Olympic Opening CeremoniesThe VP also refused to stand when the united Korea team entered Olympic Stadium. 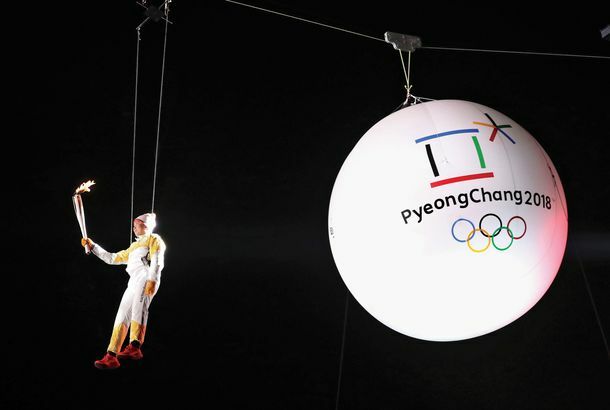 How Do You Watch the Olympics in the Shadow of Nuclear Apocalypse?If you thought Putin’s 2014 Games were scary, wait until you put an Olympic Games less than 50 miles from the Korean Demilitarized Zone. South Korea Is Hoping to Avert Nuclear Catastrophe Until After the 2018 OlympicsThe government in Seoul is asking the U.S. to delay joint military exercises so North Korea isn’t provoked. Russia Banned From 2018 Winter Olympics Over Doping ProgramPutin’s not gonna like this.